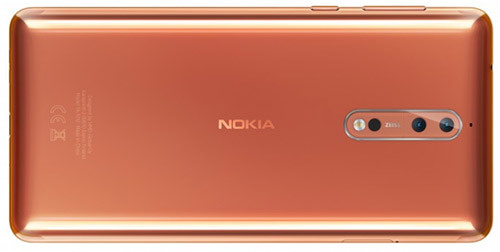 The Nokia 8 rear camera, the one with the color Bayer sensor, comes with an optical image stabilization (OIS) system. This means that when you shoot with the rear camera, it will provide you with a more stabilized image. The mechanism inside is a sensor-shift IS, which moves the sensor in the opposite direction of the movement of the phone, thus neutralizing those small hand movements that lead to blurry images. Furthermore, the OIS also helps in improving the low-light performance of the Nokia 8 camera. This is because photographers are able to take pictures with slower shutter speeds while still getting a sharp image. The problem with phones without an image stabilization is that when you shoot with a slow shutter speeds, you get a high chance of getting a blurry image. The recommended shutter speed in seconds is 1/focal length of the lens. If you go below that, you are risking getting a blurry image. Of course many phone nowadays have very bright lenses and large sensor pixels, still, an OIS can really bump up the low-light performance. The Nokia 8 features a 1.12-micron sensor and f/2.0 aperture lens. It's certainly not the fastest setup we've seen and this is where the OIS comes into play. I think Nokia has chosen this setup because of the dual-camera system. It didn't have any other choice because I assume this is the system that its sensor manufacturer currently distributing. In the future we definitely going to see dual-cameras with faster lenses and/or larger sensor pixels, but this is what we get in the Nokia 8. The Nokia 8 sensor pixels are very small, and I personally would have liked to see a 1.4-micron pixel sensor and a f/1.7 aperture lens for a really stunning low-light performance, but we can't get it all, aren't we.